Institutionalized education has given assessment a bad reputation; often leaves a sour taste in the mouths of many teachers, students, and laypeople. This is primarily due to the testing movement, the push towards using student assessment in the form of tests as a measure of student, teacher, principal, and school accountability. Educators should be clear about why they include assessment in their instruction; be strategic and intentional in its use. For me, assessment really should be about informing the learner about his or her performance so that increased learning and future improvement result for that learner. If we want students to take charge of their learning, we can’t keep relegating them to a passive role in the assessment process. As maker education infiltrates more formal educational settings, there’s been and will continue to be efforts to include assessment as part of its implementation. It is important, though, to keep in mind the characteristics of maker education and the role assessment has within it. In a maker classroom, learning is inherently experiential and can be very student driven; assessment and feedback needs to look different than a paper test to accurately document and encourage learning. Regardless of how you feel about standardized testing, making seems to be immune to it for the time being (one reason some schools skip the assessment piece and still bill making as an enrichment program). Encouragingly, the lack of any obvious right answers about how to measure and gauge success and failure in a maker classroom, as well as the ambiguity about how making in education fits into the common standards or college readiness debate, has not stopped schools from marching forward in creating their own maker programs. If the shift of control is given to the students within maker education settings, then it follows that the students should also be in charge of their assessments. One of the goals of maker education should be self-determined learning. This should include learners engaging in their own personal and personalized form of assessment. Student self-assessment involves students in evaluating their own work and learning progress. To engage in the self-assessment process of their maker activities, I ask learners to document their learning. Talking to a fellow learner or two. It acts as ongoing and formative assessment. The learners’ peers and their educators can view their products, documented learning, and reflections in order to provide additional feedback. A culture of learning is established within the maker education community in that teacher and peer feedback is offered and accepted on an ongoing basis. With this type of openness and transparency of the learning process, this feedback not only benefits that individual student but also the other students as they learn from that student what worked and didn’t work which in turn can help them with their own makes. I think rubrics, such as this, can be of value in assessing student work and/or having them assess their own work, but I prefer more open ended forms of assessment so the learners can but more of their selves into the process. One of the tools I use to facilitate the reflective process is a board game – see below. The questions provide the prompts but they are open enough to be personalized by the learners. The game promotes discourse and active listening. The interactive and semi-structure of the game make it fun for the learners. Because of the success of the game, I was motivated to create a similar tool for maker reflections. I created a set of reflection cards that I believe can facilitate some deeper reflection. The conclusion I came up with for this energy and engagement was that the human need to create is innate; and that too many people, starting during their childhood public education, stop creating. When they were given the opportunity, permission/invitation, materials, and methods, they fully embraced making and creating. Open ended projects that promote self-directed differentiation and personalization. Choice of projects, methods, materials. Some structure but lots of room for a personal touch; lots of room for creativity. Educators letting go of expectations what the final project should look like. Focus on the processes of learning. Focus on the social emotional aspects of learning – collaboration, persistence, acceptance of failure. Acceptance of a learner’s projects based on their own criteria of excellence rather than of the educator’s. Reflection is built into the process so learners can revisit their projects with a critical eye. Open ended projects equal lots of options for what the learners can make. So given similar materials and methods, each learner is able to create a project based on his or her own interests and skills. For example, during the workshop, learners were instructed how to make a simple paper circuit but then transformed that paper circuit into a personalized art piece as can be seem in the images above. Choice in the maker education environment can include a choice of projects; a choice of materials; and a choice of methods. During the maker education workshop, learning stations were set up from which the learners could choose: more advanced paper circuits, Gami-bots, bristlebots, Squishy Circuits, and micro:bit projects. Not only were the learners able to choose which projects they wanted to create, but these projects offered them the option to add their own personal touches. Learners, during these workshops, were provided with foundational skills for making the projects through direct instruction, videos, handouts that could then be used as springboards for their own creativity. Maker activities such as these were new to these learners; scaffolding was needed in order for them to develop the foundational skills which in turn increased their creativity. To truly focus on the process rather than products of learning, the educator needs to let go of expectations about the specific products that should be produced by the students. There are expectations regarding some of the processes in which learners should engage (e.g., divergent thinking, questioning, researching, creating, innovating) but the educator lets go of the pictures in her or his mind about what the products should look like. They are not limited by my expectations nor the expectations of a lesson or assessment developed by an outside entity (e.g., textbook or testing company). Their engagement, motivation, curiosity, and excitement increase. They learn to tolerate and then embrace ambiguity. They learn skills such as self-directed learning, taking initiative, locating resources, asking for help that can be transferred to all learning endeavors. It reflects and models how learning occurs outside of school. There is an increased investment and pride in their work. They develop both a sense of confidence and a sense of competence. When educators let go of expectations of what the products should be, which I believe is especially important in a maker education environment, the focus becomes on the processes of learning. Accept a learners’ projects based on their own criteria of excellence rather than of the educator’s criteria. I learned a lot about myself about how I actually had been discouraged till now to try any kind of artsy or crafty projects, however, with encouragements from partners and Jackie, I was encouraged to go further and do/attempt additional Maker projects/products. 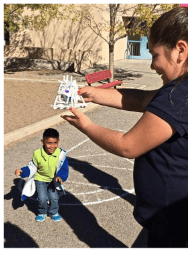 When the maker activities are open ended and process-oriented, social-emotional skills such as collaboration, acceptance of failure, and persistence naturally emerge. Self-Awareness: Making in all its forms requires a full range of skills including cognitive, physical, and affective skills. Given this need for multiple and diverse skill set, effective and successful making comes from an accurate assessment of one’s strengths and limitations as well as having optimism and confidence that challenges can be overcome within the making process. Self-Management: Making, especially making something new, often includes developing goals on the fly, revising those goals, and managing frustrations as the maker works through and learns new skills, processes, and knowledge related to that make. What processes are you using to develop, assess, and revise your goals while making? What strategies are you using to manage any frustrations or failures that are occurring during making your project? How your using others to help you with your project? How are you collaborating with your peers? Are you asking for help if and when you get stuck making your project? How are you sharing my ideas with others? This was the first time I had experimented with making electrical circuits and we tried some fun activities that I hope to apply in my classroom. In the first activity I learned that having a creative context or backstory to the work was motivating and helped me to extend myself beyond the basic task. In the final activity I found I was able to respond to a problem, persevere and create an original solution while maintaining the integrity of my design. We were able to learn that in order to succeed we must try and try again. At times it was frustrating but we were able to collaborate between the team and find solutions and were able to solve the problems we faced. Today I was reminded of the power of learning environments which invite creative, collaborative thinking – curated with a variety of flexible materials which offer endless possibilities and room for all people to enter into play. This is my third summer offering maker education summer camps as part of a bigger program at a local school. During mornings (9 to 12 with a half hour recess), campers, grades Kindergarten through 6th grade, can choose from one of four enrichment classes: art, drama, games, foreign languages, computers, and in my case, maker camps. During the afternoons, all campers get together for typical camp activities – fun and games, field trips, water sports, silly competitions. Each camp lasts a week. This summer I am offering: Cardboard Creations, Circuit Crafts, Toy Making and Hacking, and Robotics and Coding. 3d Printers, Ardinos, litteBits, Makey-Makeys, GoSpheros, Lillipads, . . . oh my! These technologies are seductive especially seeing all the press they get on social media, blogs, and Kickstarter. Given all of the media coverage, an educator new to Maker Education may get the perception that it is all about this kind of high tech stuff. For less affluent schools or after-school programs, it may seem that maker education is out of their reach given budgetary restraints. A maker education program can be fully implemented with minimal cost supplies. Cardboard boxes, recycled materials such as water bottles, detergent bottles, and other plastic throwaways, tape, glue guns, scissors/knives, and markers in conjunction with learners’ imaginations, creativity, and innovative ideas can be the stuff that makerspaces are made of (Making MAKEing more inclusive). This post lists the materials I used for the Circuit Crafts and descriptions of the activities. This camp did have some costs associated with it but I believe that given the wide range of activities offered, the costs were justified. The following is my materials list and costs. FYI – I actually purchased most of these materials cheaper via ebay. The total budget for serving 20 kids for 2.5 hours per day for 5 days was about $450 noting that the games and kits ($200 of the money) used to kick-off the camp were one time purchases. They will be used again for future camps. It ended up being $22 for each camper for the entire week – $12.50 without the games or kits. Having a materials fee; or doing DonorsChoose.org or a fundraiser can easily cover these costs. What follows are descriptions and how-tos for the circuit activities at did at this maker camp. For the first morning, I set up stations for each of the above. Learners were asked to work with a partner or two. They moved to any station at any time as long as they spent time finishing several projects at a given station. This PDF was shared with the makers campers: Squishy Circuits Introduction PDF. It provides some background and simple get started activities. A Gami-Bot is a simple DIY origami robot that is made from a vibration motor, business card, 3v cell battery, and tape. It is so easy it practically builds itself (https://otherlab.com/blog/post/howtoons-gami-bot). This was developed by Howtoons. They now sell it as a kit but I buy all of the materials separately as they are simple materials and easily accessible. This is a high engagement, low entry activity for both younger and older (like adults) learners. I encourage learners to decorate them to make them more anthropomorphic and to engage in free play after their creation which often translates into competitions such as racing and length of time staying in determined area. I printed off paper templates for Minecraft Blocks from http://stlmotherhood.com/diy-minecraft-light-blocks-diamond-emerald-redstone/. (Yes, it requires a color copier which all of the schools where I work [including the Title 1 ones) have.) Campers were instructed to cut them out and hole punch out “windows” in their blocks to allow the light to shine out. After assembling their blocks leaving the top open, they inserted LED lights with coin batteries taped into place. I printed off the the parallel and switch circuit templates found at paper-circuit-project-templates. I printed them in color but black and write would have been fine. Additional materials for this project were LEDs, copper tape, and coin batteries. The templates are pretty self-explanatory so I walked around and gave the campers assisted when needed. Finally, learners were given templates for paper house structures (https://www.template.net/business/paper-templates/paper-house-template/ – I encouraged campers to add lit LEDs as they did for their Minecraft blocks. They were asked to also use their Minecraft blocks and their paper circuits as part of the city. The miscellaneous materials (craft sticks, straws) were also available for them to use. A large piece of butcher block paper was placed on the floor and the learners were given the following simple directions, “Create a city out of your paper crafts: your houses, Minecraft blocks, and paper circuits. You can use the extra LED/coin batteries and markers to add to your city.” Once their city was complete, I darkened the room. This is the second time I’ve done this activity, and both times, I observed the campers having lots of fun doing some spontaneous role play interacting with the city and each other. 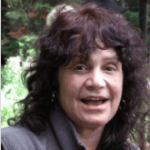 Post by Jackie Gerstein, Ed.D. @jackiegerstein and Barbara Bray @bbray27. Crossed posted at http://barbarabray.net/2017/06/08/design-thinking-process-and-udl-planning-tool/. If there is a makerspace in your school, it may be down the hall, in the library, or in another building. If there is someone other than the teacher managing the makerspace or there is a schedule for the school, your kids may only be able to use it once a week or month. Some makerspace activities may be focusing on how to use the resources available and may not be connecting the activities to the curriculum or around a real world problem. If this is how the makerspace is set up in your school, then your kids may not have access to the resources, materials, and tools when they need them, especially for STEM or STEAM. In deciding what resources you need based on the learners you have, you may first need to determine how your learners learn best, what projects you plan to do, how you can set up a makerspace in your classroom, and much more. This is why we decided to create a planning tool for makerspaces in the classroom for you using the Design Thinking Process and Universal Design for Learning®. We adapted the Design Thinking Process to include additional phases based on our own experiences in schools with educators and kids. Define the Problem: The educator along with the learners generate possible authentic problems to explore within their local community (classroom, school, social, community) which includes identification of the intended audience. Empathy and Perspective Taking: Learners interview clients to gain an understanding of their needs and to see the problem from their perspective. The educator can assist learners in the interview process including how to develop interview questions. Idea Generation: Learners, typically working in small groups, generate lots of ideas and questions to ask to solve the design thinking problem or challenge. Each generated possible design is analyzed as to its potential to resolve the design challenge. Sketch Design: A blueprint or sketch of the selected design is created through pencil and paper or through an online tool such as Google Draw or Sketchup. This design can be pitched to another group for constructive feedback. Prototype – Test – Refine: This phase is the actual creating and building of the product. To get the product to work as the plan often takes several iterations of prototype, test, and refine. Learners are encouraged to use the tools and building processes that work for them. Feedback from User: The final design is presented to the users for their feedback. The designers ask the users about the degree to which the design met their needs asking specific questions about what worked and what still needs improvement. Final Reflection: Learners reflect on the process in a way that works best for them – blogs, photo essays, video recording, podcast, sketchnotes, illustrated ebook. Share Out: A goal of the design thinking process is sharing learning out to a broader public. This is typically done by sharing documentation of learning and final reflections through social media. Universal Design for Learning (UDL) was developed by David Rose and Ann Meyers of the Center for Assistive Special Technology (CAST). UDL was designed to reduce the barriers to the curriculum and maximize learning. UDL provides a framework for all learners to help them become self-directed and independent expert learners. UDL has reordered the principles and guidelines, to begin with, Multiple Means of Engagement, the Why of Learning that compliments how the Design Thinking Process involves learners in identifying an authentic problem or challenge. Multiple Means of Engagement (Why) is the affective network that explains how interest and purpose engages and motivates learners to want to learn. Multiple Means of Representation (What) is the recognition network how content is represented and how learners process information. Multiple Means of Action and Expression (How) is the strategic network involving how learners monitor progress and demonstrate and reflect evidence of learning. The National Center on Universal Design for Learning goes deeper referring to the alternate version of the UDL Guidelines found in the book UDL Theory and Practice by David Rose and Ann Meyers where the order of the principles and the guidelines have changed. The UDL Guidelines provide a deep dive into each of the principles to checkpoints that provide resources, examples, and research. We pulled together the phases of the Design Thinking Process and identified specific options under each principle to create a Design Thinking Process and UDL Planning Tool for teachers. In the initial phase of defining the problem, the teacher involves learners to generate possible authentic problems within their local community. The problem can be defined by the teacher to encourage learner interest. We connected the UDL principle Multiple Means of Engagement to this phase by providing options for recruiting learners’ interest through optimizing relevance, value, and authenticity. To understand the problem, the teacher activates learners’ background knowledge and invites them to highlight patterns and critical features around real world problems that impact them. The UDL connection to Engagement to the second phase of Empathy and Perspective Taking made so much sense to us. The UDL connection involves learners having options for sustaining effort and persistence by fostering collaboration and community. This phase is where learners gain an understanding of the needs of specific people about a problem from their perspective. They may interview, do observations or survey them about the problem. Some lessons can involve a specific problem identified by the teacher who first wants to encourage empathy. We provide one example around an Egg Drop and the Design a Squishy Circuit for a Classmates (see these examples at the end of this post). The middle phases of the Design Thinking Process involve the iterative steps related to idea generation and prototype-test-refine as well as getting feedback from the users. As can be seen in the UDL Connections column of the Design Thinking and UDL planning tool, representation and action and expression can be explicitly addressed. Representation or the What of Learning is a strong focus during the Idea Generation and Feedback from Users phases as the educator helps learners highlight patterns, critical features, and relationships of their discoveries. The Action and Expression or the How of Learning emerges most strongly during the Creating a Blueprint and Prototype-Test-Refine Phases as learners include their own personal touches and preferred means of expression. The final phases of the Design Thinking Process involve reflection on the design and making experiences and then sharing out the results to a broader audience. The UDL connection to Action and Expression is especially strong in the final phases of Reflection and Sharing Out. During the reflection phase, learners are given the option to express what they learned during and because of their STEM, STEAM, Maker Education experience in a way that makes the most sense to them given the nature of the task; and their preferred means of expression. This is especially relevant given all that technology and online tools provide. For example, students can write a blog, create a photo essay with a caption, record a podcast or video, do a hand-drawn or online sketch, create a comic. Learners, many being savvy at the use of social networks, can then choose how they want to share out their reflections. This serves several purposes related to Action and Expression: (1) it gives learners an authentic audience, and (2) it helps other makers learn from their personal experiences. We hope the Design Thinking and UDL planning tool we developed helps you guide the design of learning activities that focus on STEM and STEAM and brings makerspaces into your classrooms. We will be discussing this topic in the Twitter chat (#plearnchat) on Monday, June 19 at 4 pm PT, 5 pm CT. We ‘re also going to be sharing more details including redesigning makerspaces in the classroom in our presentation at ISTE 2017 in San Antonio on Monday, June 26 11:30 to 12:30. Please join us! We welcome any comments, ideas, or questions. Dr. Jackie Gerstein’s byline is, “I don’t do teaching for a living. I live teaching as my doing . . . and technology has amplified my passion for doing so.” Dr. Gerstein has been teaching in-person and online for several decades. Currently, she teaches master’s level online courses in educational technology for Boise State, Walden, and Western Governors’ Universities as well as gifted elementary education where she focuses on STEM, STEAM, and Maker Education. Today’s Education Should Be About Giving Learners Voice and Choice. Barbara co-authored two books on personalized learning with Kathleen McClaskey:Make Learning Personal and How to Personalize Learning. 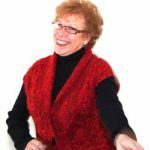 She wrote a regular column on professional development for OnCUE (Computer Using Educators) for over 17 years and continues to write here, for Personalize Learning, chapters in books, articles, and as guest posts on other blogs. She works tirelessly to find and research new tools and methods that help educators and personalize learning. Now with multiple opportunities to network using social media and join various online communities, teachers and learners are confused. Barbara makes it her job to determine what is authentic, valid, cost-effective, safe, user-friendly, and relevant for her clients. She is relentlessly researching how to personalize learning so all learners follow their passion so they discover their purpose. I recently learned, for the first time, about Aristotle’s belief that there were three basic activities of humans: theoria (thinking), poiesis (making), and praxis (doing). Corresponding to these activities were three types of knowledge: theoretical, the end goal being truth; poietical, the end goal being production; and practical, the end goal being action (https://en.wikipedia.org/wiki/Praxis_(process)). The Greek theoria, from which the English word “theory” is derived, meant “contemplation, speculation, a looking at, things looked at”. The word theoria is derived from a verb meaning to look, or to see: for the Greeks, knowing was a kind of seeing, a sort of intellectual seeing (https://en.wikipedia.org/wiki/Theoria). Poïesis is etymologically derived from the ancient Greek term ποιέω, which means “to make” (https://en.wikipedia.org/wiki/Poiesis). Play, Tinkering, Experimentation – This is uncensored, boundaryless, whimsical making. It can be considered free play. This, in my mind, is the first part of of Poïesis which translated from Greek “to make”. How this translates into practice is by providing learners with lots of making materials; and telling them to just dive in and play hard with those materials. Mindful and Intentional Making – Once there is a familiarity with the making materials and processes, making can become more mindful and intentional.This is the second part of poisis or the making process. Making becomes more goal-oriented, focused, and more results or product oriented (although process is still important). Observing and Reflecting Upon Results – This is the theoria or thinking part of the process. After making, it is when makers step back away from their making to observe and reflect on their processes and results.”Being able to reflect is a skill to be learned, a habit to develop. Reflection requires metacognition (thinking about your thinking), articulation of that thinking and the ability to make connections (past, present, future, outliers, relevant information, etc. )” (Amplifying Reflection). Critical Awareness and Analysis – This is the praxis, the critical thinking component that combines reflection and action. It takes reflection to a deeper level by dissecting the making process to analyze what worked and didn’t work which, in turn, will inform future makes. This critical analysis should directly and strongly influence future making experiences – the action part. Sharing to Elicit Broader Connections and Change – Given today’s ease of sharing via the Internet and social media, the action part of praxis has been expanded, in this framework, to include sharing out one’s makes, observations, reflections, and critical analyses to a broader audience. This can occur by writing about the making process, and/or by doing a photo essay, video, podcast to share via social media. By doing so, others can benefit from one’s make. This presentation, prepared for the Global Maker Day virtual conference, provides some background information on maker education, being a reflective practitioner, documenting learning, the roles of the maker educator, and resources.